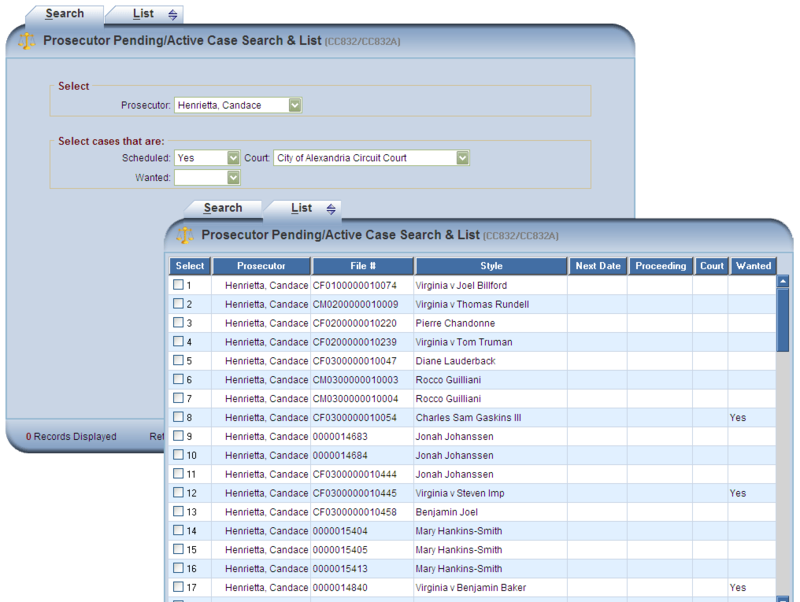 In addition to court case management functionality, SDSC's Prosecutor Case Management System is designed to facilitate the full spectrum of tasks performed by prosecutor office personnel from the initiation of to the closing of a case. 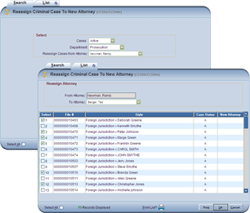 Victims' and witnesses' addresses, phone numbers, and personal information are entered on each case and secured if a confidentiality request has been filed. 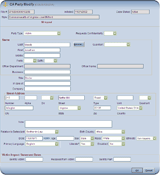 This allows support staff to repeatedly issue subpoenas without having to enter the same information multiple times. Trial dates are entered on each case, which allows choosing the trial date and the designated court for multiple subpoenas rather than having to fill in these repetitive blanks for multiple subpoenas. This also allows us to issue a personal letter to each victim with information specific to each court. Also, in order to comply with the victims' right to confidentiality, the Court copy of the subpoena does not list an address if the party is marked confidential. Standard indictment text separate from the statute code can be attached to a statute. Indictment charges can be added and an indictment can be prepared, with access to this information restricted from unauthorized users. 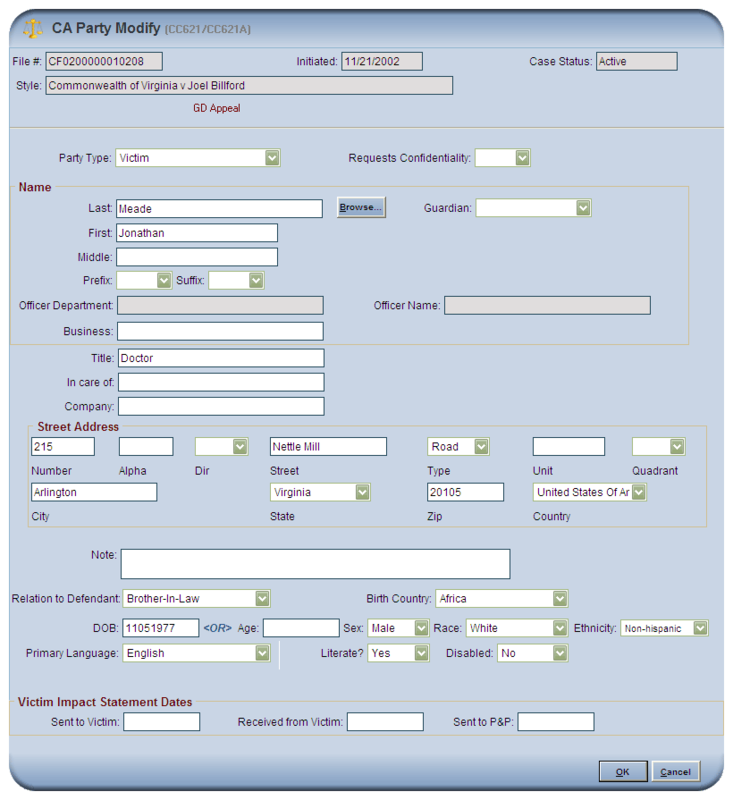 Defendant and case-specific information is electronically merged into the indictment template to create an RTF document, but we still maintain the flexibility to change the language in the indictment as needed without changing the main template. 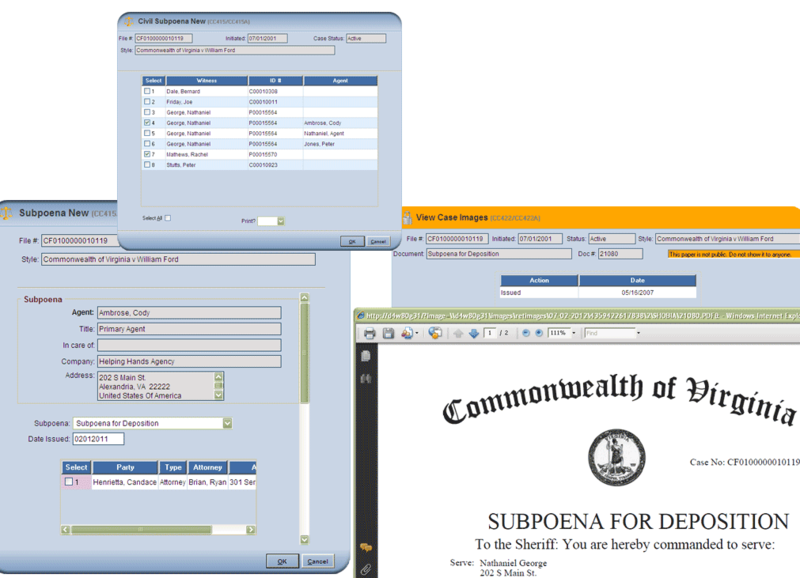 Subpoenas can be easily produced. This type of document is restricted from viewing by unauthorized users until the subpoena is served. 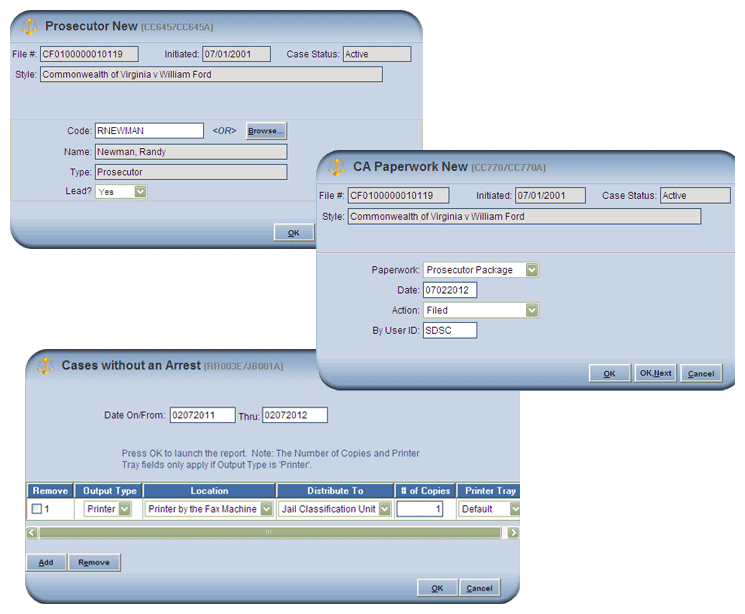 With a participating Sheriff's Department, when and how a subpoena is served can be viewed. 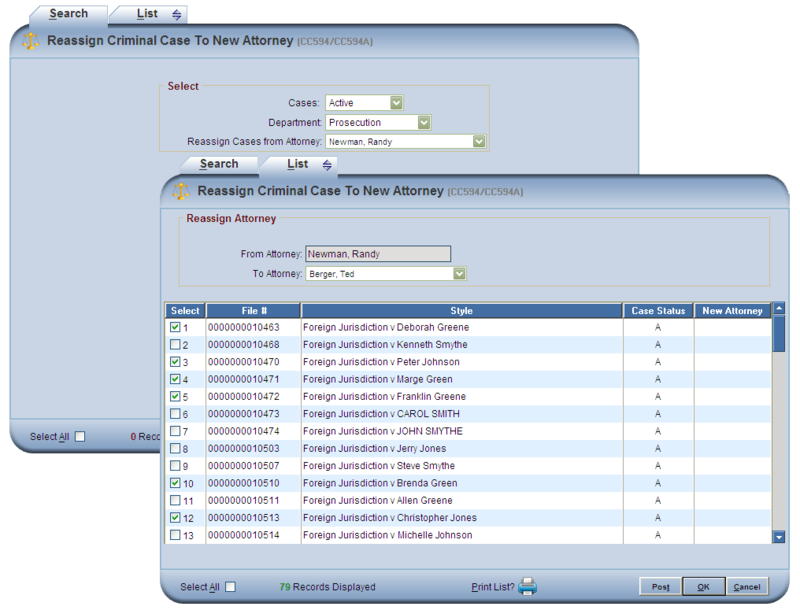 Additional functions within the PCMS allow for the assignment of attorneys/prosecutors to a case with the additional ability to designate the lead prosecutor, scheduling of court appearances, production of daily dockets with juveniles' names omitted, and categorization and listing the paperwork associated with a case. 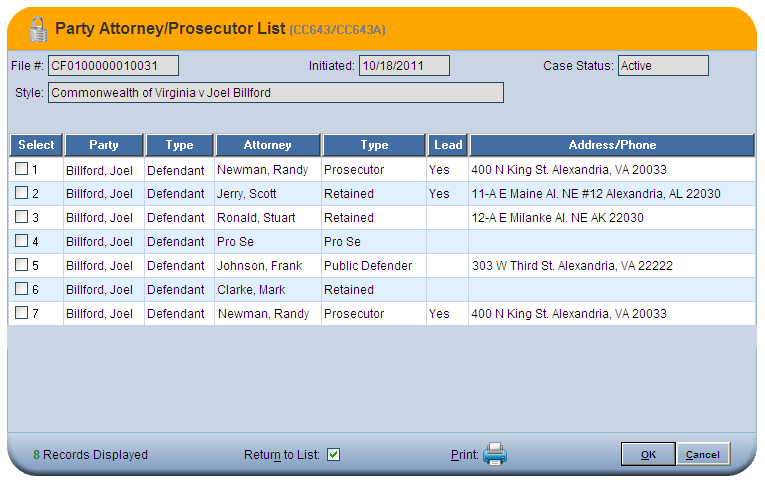 Case specific notes can be entered and maintained for easy referral with viewing accessing specific to the prosecutor's office. 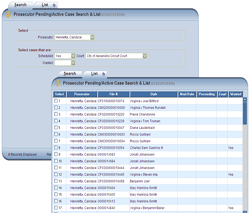 Available reports include Court dockets, Case Listings by Court, Domestic Cases Without an Arrest, Current Protective Order List, Domestic Violence statistics, and Victimless Prosecution Statistics. 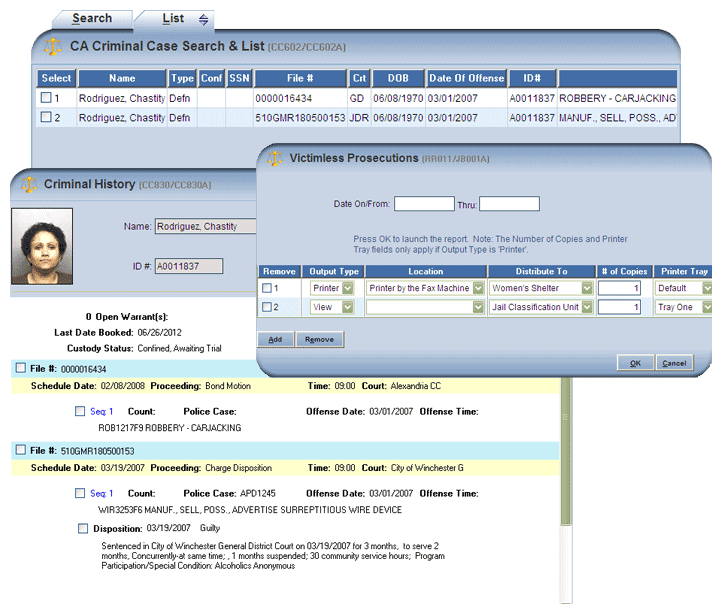 A defendant's criminal history is also available for viewing in an organized format which includes, case numbers, offense, offense dates, lead attorneys, pending court dates, and disposition and sentencing information. 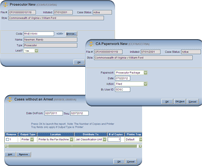 Below are examples of a few PCMS functions and features. Please click any screenshot to enlarge. All screenshots shown can be fully customized to meet the client's needs. Please contact SDSC with any questions regarding PCMS features and functionality. Copyright ©2012 Software Development and Services Corporation. All rights reserved.